Vitamin C is great for your skin especially if you're needing to lighten sun or age spots or dark ender-eye circles. Vitamin C also protects against and heals UV damage and pollutants your skin is exposed to on a daily basis. 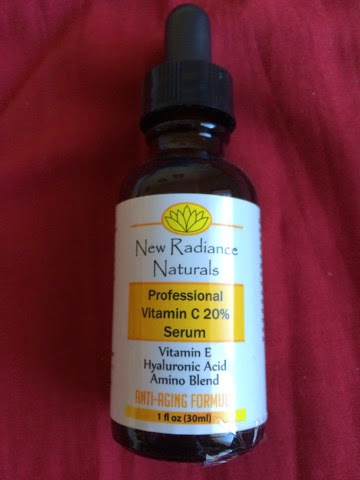 I recently tried the New Radiance Naturals Vitamin C serum, which also includes hyaluronic acid, vitamin e, organic aloe, and a complex amino blend. This serum brightened and lightened my skin, which adding a light touch of moisture and smoothing my fine lines. You can find the New Radiance Naturals Vitamin C serum on Amazon if you'd like to try it for yourself.